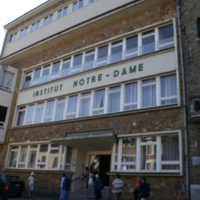 Front entrance of the Notre Dame school in St Hubert. 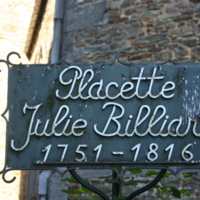 A sign for Julie Billiart square in St Hubert. 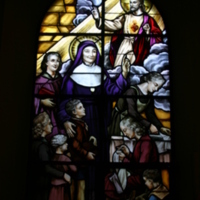 A stained glass window at St Hubert chapel showing St Julie with her students near the Sacred Heart of Jesus. 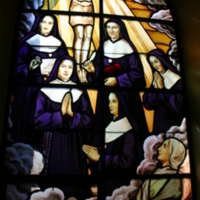 The stained glass window at St Hubert chapel showing St Julie's Vision.